Under the scrutiny of UEFA's Financial Fair Play rules, the 2017 excesses that brought in Neymar and Kylian Mbappe to further skew the balance of power have not been possible for PSG this year. Their most significant acquisition for the campaign that gets underway when Marseille host Toulouse on Friday is Thomas Tuchel. The former Borussia Dortmund coach is the high-end tactician the capital club's Qatari owners have craved as they turn their attentions towards the final frontier of Champions League success. For all his undoubted talent, Tuchel has a reputation for falling out with players – something that will make the dynamic between Neymar and other stars fascinating. Could this and a focus on continental affairs see PSG falter? Perhaps. Whether the best of the rest in Ligue 1 will be anywhere nearby to capitalise if and when they do is another question entirely. Fabinho's May departure to Liverpool and Thomas Lemar's switch to Atletico Madrid means the remanence of the class of 2016-17 in Monaco are yet more sparse. The shrewd Leonardo Jardim remains at the helm and his club have again dealt in imaginative and intriguing fashion in the transfer market, with prime young talent still the order of the day. Aleksandr Golovin will have to wait for his debut after suffering an ankle injury and it must be hoped experienced marksman Radamel Falcao can enjoy a similarly fruitful understanding with the gifted Russian playmaker as he once did with Bernardo Silva and Lemar. Last weekend's 4-0 Trophee des Champions defeat to PSG made no secret of the gulf that exists between last season's top two. 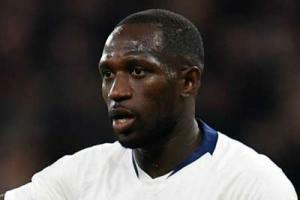 The collapse of captain Nabil Fekir's proposed move to Liverpool gave Lyon an unexpected pre-World Cup boost, although head coach Bruno Genesio did not sound overly confident this week when he discussed the prospects of the mercurial forward sticking around. Likewise, Memphis Depay touting himself around after the friendly against Chelsea at Stamford Bridge was not entirely helpful. If Fekir and Depay can be retained in tandem, Lyon are likely to remain a formidable proposition on their day. Only PSG managed more than their 87 goals last season and a 78-point haul would have challenged for the title in the days before the present altered Parisian reality. 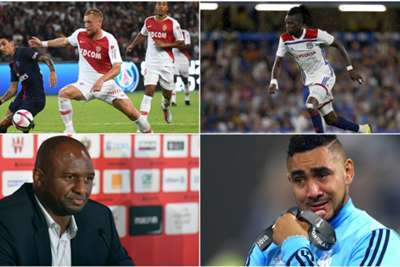 Marseille's stirring run to a Europa League final on enemy territory in Lyon last season showed how far France's most passionate and volatile club have come under Frank McCourt's ownership and the easy-on-the-eye style of head coach Rudi Garcia. Atletico Madrid's comprehensive 3-0 win in the showpiece demonstrated how far they have left to travel to be a credible challenger to PSG. Florian Thauvin was one of the most devastating wingers in Europe last season and Dimitri Payet can still leave the best beguiled on his day. Last weekend's 5-2 friendly loss at Bournemouth – Marseille were 5-0 down – was utterly abject but not an entirely fair representation of a side beaten only five times in the league last season. What introducing Mario Balotelli to such relative consistency might do is anyone's guess. A more yawning chasm than the one between PSG and their nearest rivals came between Marseille and Rennes as 19 points separated fourth and fifth in Ligue 1. Selecting another side primed to shout their way into the Champions League argument is therefore tricky. Nice did just that as they came third in 2016-17, having threatened to turn the title race into a Riviera affair with Monaco. They fell away last time around, finishing a relatively respectable eighth. Lucien Favre's superb work on the south coast secured a move to Borussia Dortmund and there is palpable anticipation surrounding how Patrick Vieira might fare in his first European coaching post. The inevitable early clash with Balotelli, whose long-mooted switch to Marseille is yet to fully materialise, duly arrived and Alassane Plea and Jean Micheal Seri's departure preceded.